I love animals. Animal Reiki is one of my favorite things to do. Besides sending Reiki to animals sometimes I also like to call on the energy of different animals to help me with certain issues or to bring into Reiki sessions. Hawks, owls, and doves are very popular in the healing world. But did you know that Tiger Energy carries huge healing benefits as well? Let’s take a minute to see what Tiger’s symbolize. Tiger’s help you to overcome any obstacle or fear by reclaiming your own power. This is a huge thing and really aids in healing yourself and becoming the best version of you. They ask you to be still and listen and give you the knowledge to know when the time is right to make your move in any situation. They help you to face anything head on and will help you to notice important small things that other’s overlook. Below you will find a short list of what Tiger’s are most commonly known for in the healing world. Tiger Energy can add so much value to your life. I highly recommend adding it to your next Reiki session. This is especially true if there is a situation that you are fearful of or an obstacle you need help overcoming. To do so simply state at the start of your self-Reiki session that you call on Reiki and Tiger Energy to help you with the problem you are having. Continue with your self-Reiki session and take notice of any special messages you may receive during your session. Be sure to give thanks at the end. It is truly that simple! If you find that Tiger Energy works well for you with Reiki then try experimenting with some different animal energy as well. Some other great animals that are easy to start working with are butterflies, dove, deer, and hummingbirds. However, try whatever you feel called to do! Different things work well for different people. 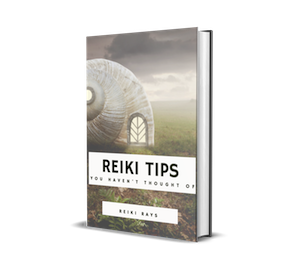 Getting creative with your Reiki sessions can bring through amazing breakthroughs or simply give you an extra large pool of knowledge to share with your clients and students. Previous post: Take Care of Your Reiki Practice!